We, Garg Process Glass India Private Limited, established in 1965 are an ISO 9001:2008 certified organization engaged in manufacturing and exporting of a wide range of Scientific Glass products. 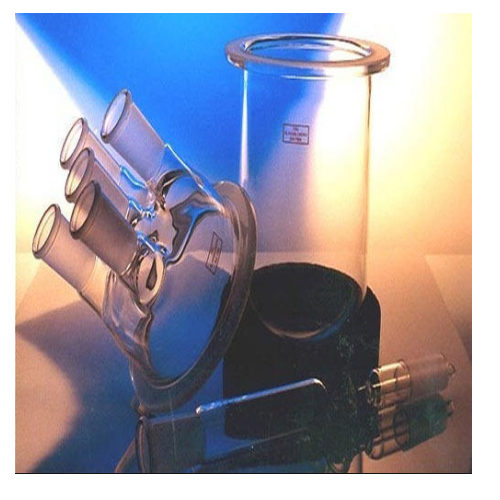 Our comprehensive array includes Lab Glasswares, Distillation Units & Industrial Vessels. We manufacture our entire array in diverse shapes and capacities as demanded by the Chemical, Pharmaceuticals, Bulk Drugs, R&D and Agro Chemical. We have set up modern infrastructure to manufacture superior range of glassware and other scientific apparatus. Our infrastructural processes are efficiently handled by the team of expert professionals, who possess years of industry experience in diverse fields. The complete assortment of our company is extensively used in Pipeline projects, chemical Plants, Nuclear power plants and scientific research. Our all glassware and other laboratory equipment are acknowledged for the superior features like easy to use, light weight, resistant to extreme heat conditions and long operational life. To help our clients in our business deals, we offer easy payment modes to them. Furthermore, our ethical business practices have also helped us in gaining the trusts of the customers.